I’ll admit, I have a better understanding of why people love Instagram these days. Since starting my Motivating Marty efforts, I’ve realised that different social media sites suit different types of posts. What I don’t understand, is why I couldn’t post to Instagram on desktop, until now. Today, Instagram launched a new mobile site which actually benefits desktop users more than anyone. The big launch today was an Instagram mobile site. Considering Instagram has risen to power as an app, a mobile site was never really a priority. It’s still a strange move as the app is the most efficient way to most people to enjoy Instagram, but there are some incompatible smartphones and tablets. 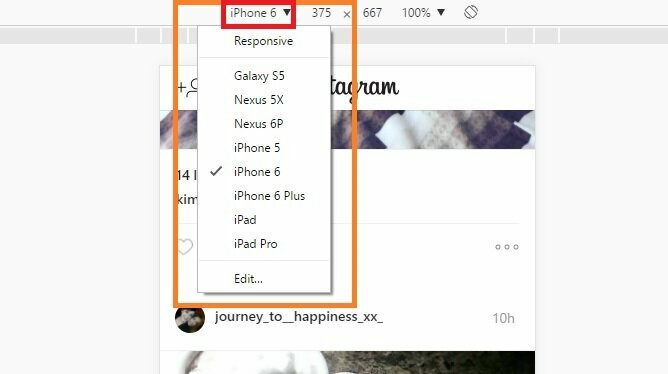 While these users will benefit from the new mobile site, it’s left the door open for one feature Instagrammers have been crying out for. 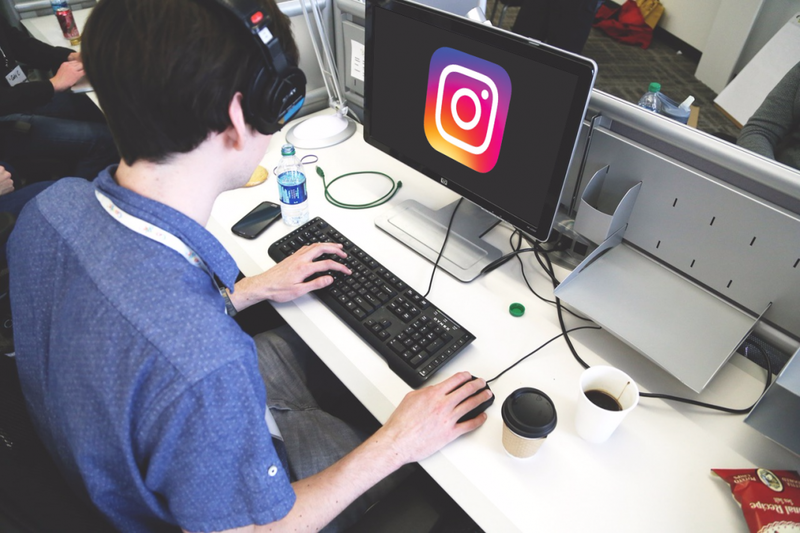 To be crystal clear, Instagram hasn’t suddenly opened up the flood gates for you to post from desktop. There is, however, a fairly tidy hack that will let you access the mobile site to achieve the same goal. On your desktop, or much more likely your laptop, head on over to the Instagram website and log in to your account. This site has always been here, letting you like and comment on existing posts. For this part, I’m assuming you’re using Google Chrome. 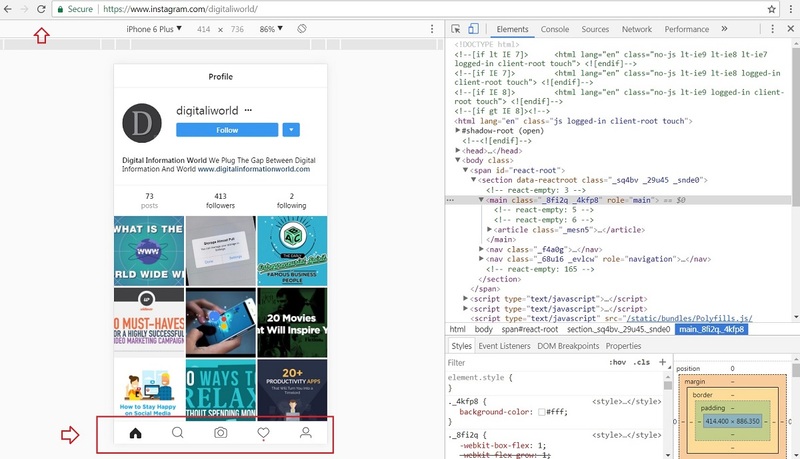 In Chrome, on the Instagram website, you’ll need to launch developer tools. To launch developer tools, press CTRL+Shift+I (Cmd + Shift + C on Mac) together. Developer tools has a great feature which lets you view any website as if it were on a smartphone. Don’t let all the code and stuff put you off. You’re just looking for the conveniently circled mobile devices option above. Next, at the top of the screen (where that lovely red rectangle is) you’ll likely see the word responsive. Click this and change it to one of the smartphone options, such as the iPhone 6. Now just refresh your page and that’s it. You should now be greeted with a screen in your browser exactly like you would using the Instagram app.